I saw this earlier today on Pintrest and began to ponder. The answer is fairly simple, yet slightly complex. I have more books than I can count. I have some nice neat little piles and some piles are unruly and toppling over, while other books live in boxes and sit on shelves in the garage or are boxed up in the toolshed. So, I pondered this question. And pondered it some more. All of the books belong to me on some level. The books I would consider belong to me are those long forgotten ones or perhaps not so long ago. The ones I don’t remember the characters or the story line and I couldn’t conjure up enough to even begin to tell you what it was about. I’ve read a few like that recently. Those are more than likely the books sitting in a box in the toolshed. But the kicker for me is that most of the books I own — I belong to them. Those are the books that get in my soul and give me something to think about. The ones that make me want to go back and read them again. The books I want to pass of to friends and family so they, too, can share the joy it’s brought me. These are the books that years from now I could be having a conversation or riding in my car and think about. Think about a quote, a character, the scenery, anything and it brings a smile to my face or maybe a scowl. They’re rooted deep down in there waiting — waiting, for their opportunity to be pulled out again and read and shared. That’s a really interesting idea. I’ve found that when things happen in my life, I often instinctively pick books to re-read that help give me a better perspective. I don’t realise why I’ve picked that particular book until I’m part way through it. I loved this post! And you’re right; it’s both simple and complex. I’ve read countless books that, since, have been forgotten. I have too many books to count, but the ones that move me…the ones that touch me deep down, I will – at least on a subconscious level – always remember. This was quite a pondering post for me, because as I read, I found myself wondering the same question as well. 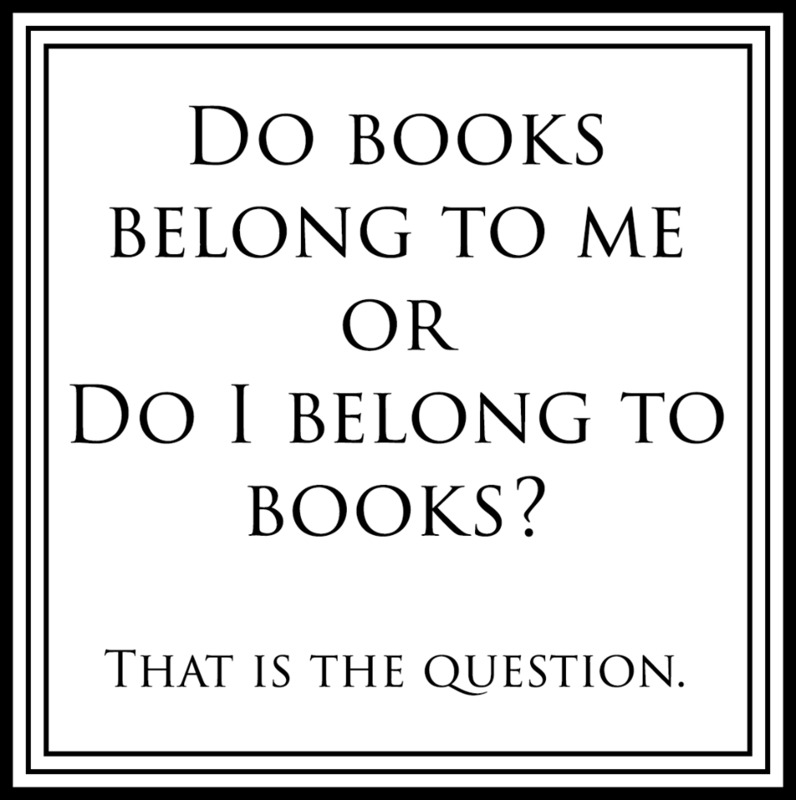 The way you answered it: books forgotten vs books that get in your soul is such a good answer, in my opinion, and I have to agree! Thanks! It was quite introspective for me.